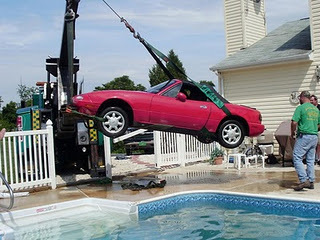 Red Mazda Miata goes for a dive, belly-flops into pool !! Melissa was vacationing in Florida when she received a frantic call from her neighbor Kim. From Taylor’s voice, Campasino knew something was wrong. Taylor said something happened at Campasino’s home in Stewartstown, but assured her no one was hurt. She stammered a few more words, saying that a car went into Campasino’s yard. After more silence, Campasino heard Taylor say something about she thought she put the emergency brake on. Then, Taylor told her neighbor about a car hitting her fence. And the car and the fence all had something to do with Campasino’s pool. “She was telling me this very slowly. I finally said what, what, what about five times,” Campasino said. to run wild. She had no idea what to expect. And she wasn’t going to find out anytime soon, because she and her husband, Dan, were visiting Melissa’s sister in Fort Myers, Fla., on June 26, the day Taylor called. After a few more minutes, Melissa Campasino finally pieced together what had happened — Taylor’s red Mazda Miata had rolled downhill, went through a garden and ramped into the air, crashed through a fence and landed in the deep end of her in-ground pool. Melissa Campasino tried to explain what happened to Dan. Dan wasn’t laughing but was starting to get fired up. He eventually cooled down when their daughter, Ashley, called. Taylor had called Ashley Campasino at work at Hooter’s in York at 11:30 a.m. June 26. Ashley rushed home to see what had happened. She called her mother in Florida. Her mother remembers Ashley giggling and promising to send a few photos over her camera phone. 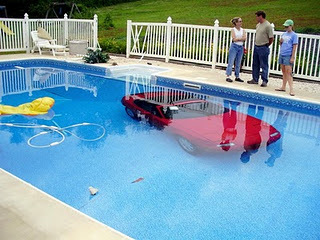 “Sure enough, there was a car in our pool,” Melissa Campasino said. Police and the tow truck driver estimated the car was going 40 mph before it hit the water. Melissa Campasino later learned that Kim Taylor was screaming and chasing the Mazda Miata Convertible all the way down the hill until it splashed down. Taylor could not be reached for comment. By the time Gordon’s Towing Service lifted the estimated 2,300-pound car out of the pool five hours later, Ashley had snapped 105 photos, which she posted on the Internet. Melissa and Dan Campasino were thankful no one was hurt. They also figured if it hadn’t been for the pool, which will be repaired soon, the car would have smashed into their home. Melissa and Dan then sat down and looked at the pictures on a computer screen. AutoBerry specializes in replacement Premium Mercedes Seat Covers Mercedes Carpet Kits and Mercedes Convertible Tops Selecting the Best for each Car. * Shop with confidence: 6 year manufacturer warranty. 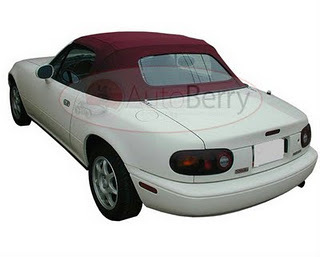 AutoBerry.com – Is your direct source for Convertible Vinyl Top for your Mazda Miata. Our Convertible Vinyl Tops come in Black or Mazda Tan. 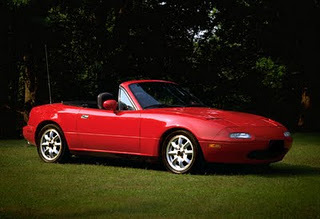 View our Collection of Mazda Products by clicking here. So much has changed, he said, but dissertation norms haven’t, to the detriment of English and other language programs. Are we writing books custom dissertation Information about theses and dissertations at the Mizzou Graduate School. We are very excited to announce the launch of the AutoBerry.com website. 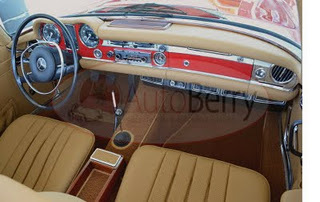 This site is your one-stop site for all your Convertible Tops, Seat Covers, Carpet Kits, Headliners needs for any and all Manufacturers and Makes. We offer a fast turnaround but most importantly amazing quality with great attention to detail. 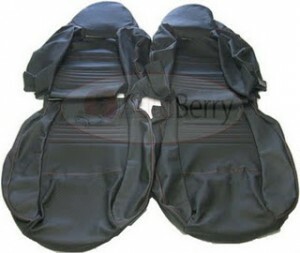 If you find yourself looking for BMW Convertible Tops, Seat Covers. 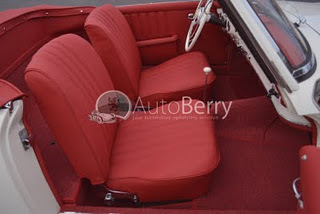 Mercedes-Benz Convertible Tops, Seat Covers, Carpet Kits. 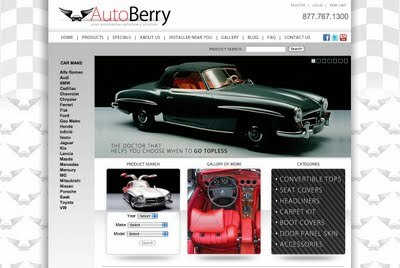 AutoBerry.com is your destination.